A short guide to some of the most common skin conditions. It's a long-term condition in most people, although it can improve over time, especially in children, who often grow out of it. Find out more about atopic eczema and how to treat it. 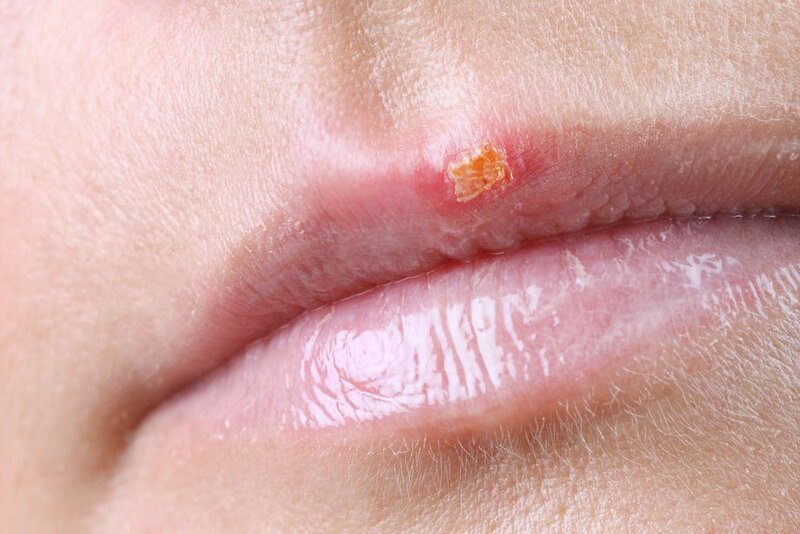 Find out more about cold sores and how to treat them. 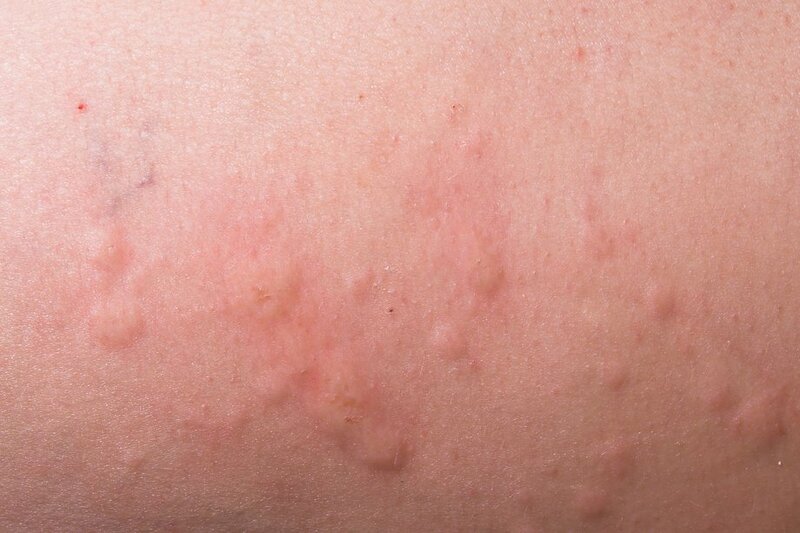 Urticaria – also known as hives, weals, welts or nettle rash – is a raised, itchy rash. It may appear on one part of the body or be spread across large areas. 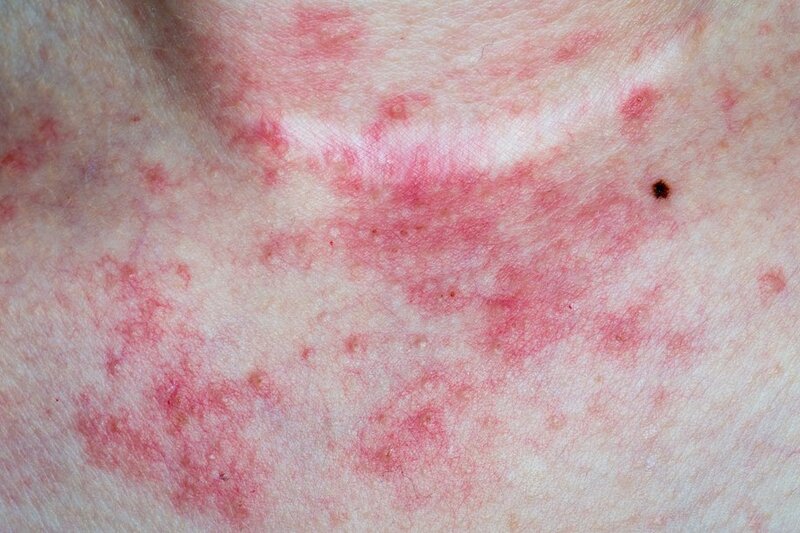 In many cases, you don't need any treatment because the rash gets better within a few days. If the itchiness is uncomfortable, antihistamines can help and are available over the counter at pharmacies. See your GP if your symptoms don't go away within 48 hours. Find out more about hives and how to treat it. It's more common in children, but can affect anyone. The infection is likely to clear up by itself within three weeks, but it's a good idea to see your GP for a diagnosis as the symptoms are similar to other, more serious conditions. Find out more about impetigo and how to treat and manage it. Find out more about itching and how to treat it. Find out more about psoriasis and how to treat it. 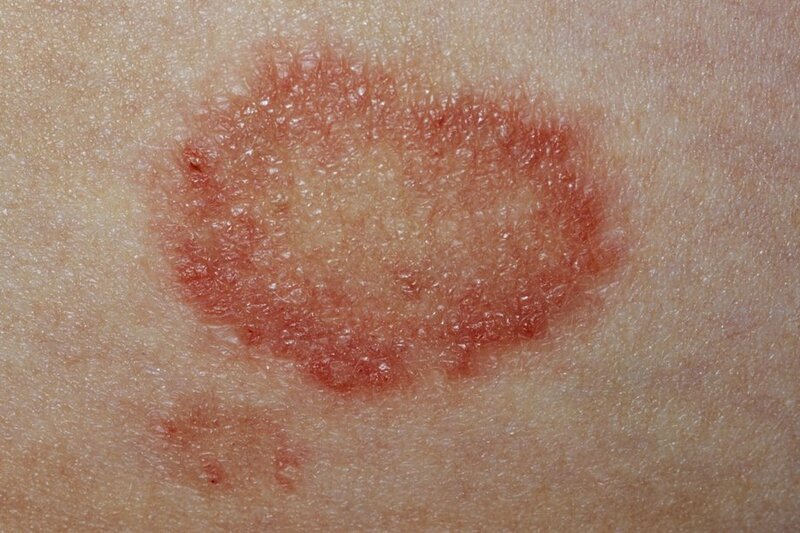 Ringworm is not a worm, but a contagious fungal infection that typically appears on the arms and legs, although it can appear almost anywhere on the body. It causes a red or silvery scaly rash in the shape of a ring. Anyone can get ringworm, but it's more common in children. You can treat ringworm with antifungal creams, powders or tablets, which are available over the counter from a pharmacy. You may need to see your GP if you aren't sure it's ringworm, or if the infection doesn't clear up after using a pharmacy treatment for two weeks. Find out more about ringworm and other fungal infections. 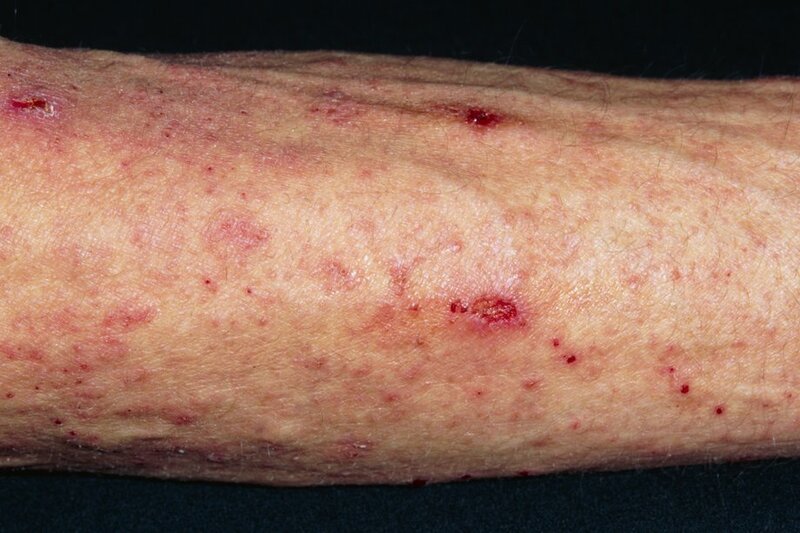 Scabies is a contagious skin condition caused by tiny mites that burrow into the skin. The main symptoms are intense itching that gets worse at night, and a rash of tiny red spots. See your GP if you think you have scabies. It's not usually serious, but treatment – normally a cream or lotion – is needed to kill the scabies mites. Find out more about scabies and how to treat it. Vitiligo causes pale white patches on the skin that vary in size and can occur anywhere. They are more noticeable on areas that are exposed to sunlight, such as the face and hands, and on dark or tanned skin. Vitiligo on the scalp can make your hair go white. Vitiligo is a long-term condition. It's not contagious. You should see your GP to if you suspect vitiligo. 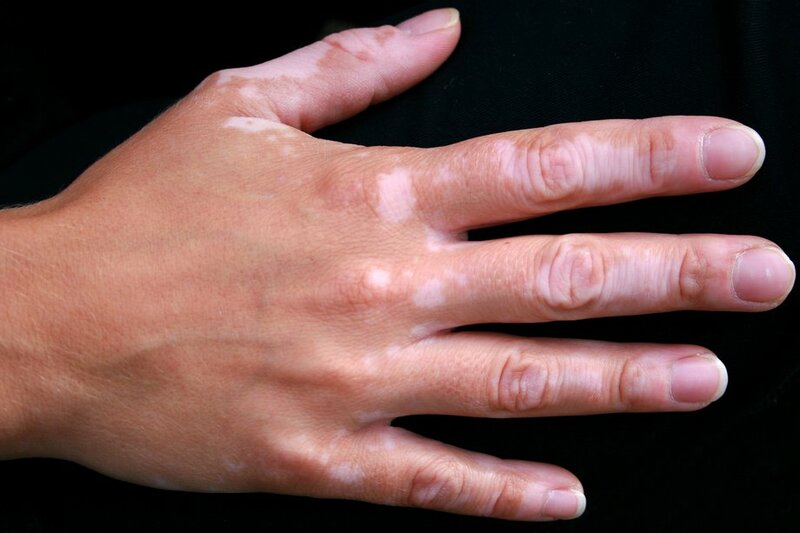 Find out more about vitiligo and how to treat it. Most warts are harmless and clear up without treatment, but you might decide to treat your wart if it's painful, or if it's causing discomfort or embarrassment. Find out more about warts and verrucas and how to treat them.